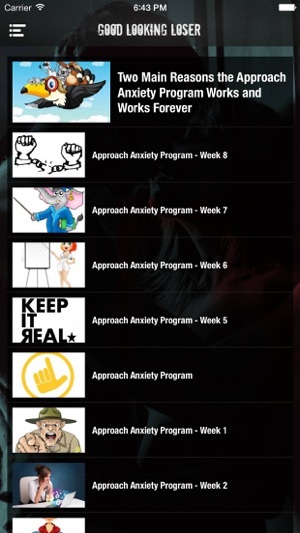 The official non-adult mobile app for Good Looking Loser - The Original Non-Mainstream Self-Improvement Lifestyle Community. Subjects include - meeting women, men's fashion, fitness, combating anxiety, making money, and other various lifestyle topics. 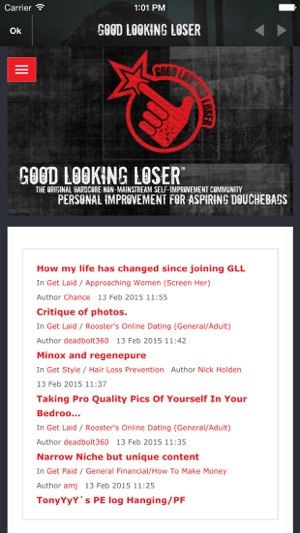 Good Looking Loser, founded 2012, features realtime videos of men meeting women. There is also a public forum where members can engage each other for advice. 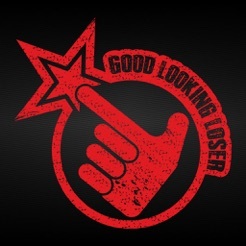 Good Looking Loser is truly most-unique community on the Internet. 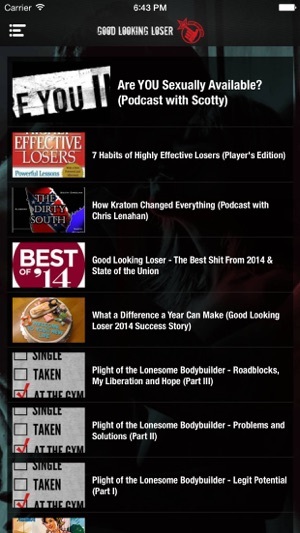 A fully new layout with more reader-friendly access to much more information, videos, podcasts and news from the Good Looking Loser community. Love this site, and the app makes it even better! 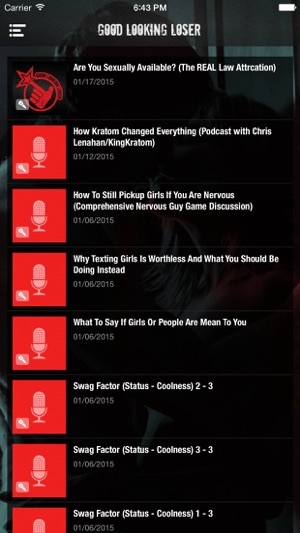 This is easily one of the best apps on the market. Love the information Chris!